So, thanks to a suggestion by Bryce from JacobsonCinema, I’m writing a new post listing some of my favorite (non-anime) cartoon series. These include the shows that shaped me when I was growing up and the new content that I follow today. Thanks to The Force Awakens, there’s a plethora of new Star Wars tales coming out of the woodworks, and Rebels is one of the best. This show tells the story of 6 unlikely heroes in the earliest days of the Rebellion. What I like most aren’t their high-pitched firefights with stormtroopers or Hera’s impressive feats of flying, but how they interact in their quieter moments. It’s Kanan training Ezra to be a Jedi or the likes of Zeb and Sabine working with the locals they’re trying to help subvert the Empire’s rule. There’s a sense of family that stands out against the detailed Star Wars settings and mythos we’ve all come to know and love. Copyright © 2001 by Jhonen Vasquez. Absurd comedy is good, and so is dark comedy. Invader Zim has both and I love it for that combination. I can enjoy Zim’s insane logic for his Conquest Plan of the Week, GIR’s actual insanity, and snarky one-liners from Dib and Gaz when there’s enough of them. This is a show where Valentine’s Day is celebrated with slabs of meat, and where school elections include brainwashing and deadly approval meters. And honestly, how cool was it that Kevin McDonald from The Kids in the Hall got to voice one of the characters? Copyright © 2011 by Warner Bros. Animation. Building off the love that I had for the Justice League cartoon (as described in the next section), I got into Young Justice because it was a well-done ensemble series of colorful and sympathetic heroes against an elaborate conspiracy with multiple story arcs. The first episode I ever watched was “Secrets,” a simple side story with Zatanna and Artemis, but it was a great introduction to the kind of depth and action that the show had to offer. I’m including 2 shows here only because they’re done by the same creators, with the same continuity. And because they’re just that good. I didn’t read comic books as a kid. What I know about DC Comics and their superheroes mostly comes from this version of the Justice League. These shows balanced every possible superhero, big and small, and made great use of their strengths and weaknesses (see episodes like “The Great Brain Robbery” and “Divided We Fall” for examples). In a strange way, I feel like they did for a cartoon series what the Marvel Cinematic Universe is achieving on the big screen: an in-depth, multi-arc franchise with numerous stories and a memorable cast. Copyright © 2010 by Cartoon Network. 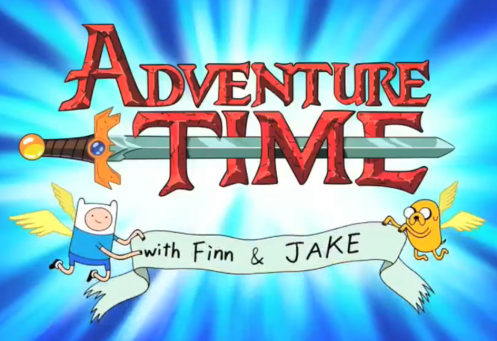 It’s weird to think how long Adventure Time has been on the air now. It’s even been 3 years since I wrote an entire blog post about this show’s many zany qualities. And at the time of this writing, those qualities still ring true (especially if you watch the “Stakes” miniseries focused on Marceline and Bubblegum). Archer never fails to make me laugh. I might cheer at some of its legitimately fun spy and secret agent action, but mostly I’m watching this James Bond/Cold War parody for whatever new pop culture references that the main cast can produce. Or whatever mad science nonsense Krieger has on the side. Or anything that Pam and Cheryl do, honestly. I also can’t forget the fact this series has some great allusions to classic stories, making good use of cameos like Burt Reynolds and Christian Slater whenever it gets the chance. If a show like Archer can usually make me laugh, then Bojack Horseman can never fail to make me chuckle right before yanking hard at my heartstrings. But who doesn’t love the story of a washed-up celebrity from the Nineties and his endless spiral into self-loathing and poor decisions? The show, however, isn’t afraid to actually tackle its own continuity and Bojack’s psychological trauma. I know I’m not alone in admiring how well the show has depicted living with depression, and in wanting to see where else this horse’s journey will go in the future. I’ve said it before, but Rick and Morty is what I think I always expected out of a show like Doctor Who. 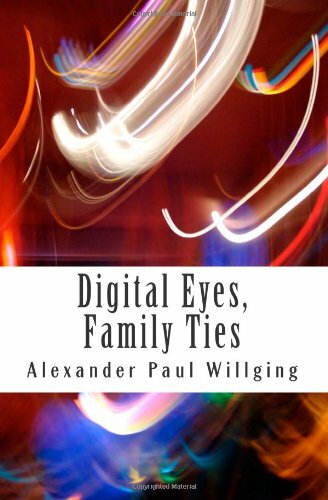 It’s a series about a mad scientist antihero and his young companion, as their bond gets tested through a madcap series of adventures across time and space. Yet the scientist is an alcoholic and misanthrope whose genius is unparalleled. And his companion is traumatized. And so’s his family. I think the second season finale really summed up this issue beautifully. If you want to see a truly alien and colorful universe explored by some fallible but sympathetic characters, this is a show to check out. Created by Rebecca Sugar, who was attached to Adventure Time as a storyboard artist and writer, Steven Universe is one of those shows that’s a real diamond in the rough. This cartoon is unabashedly optimistic and heartwarming, even when it deals with darker matters like the war between the Crystal Gems and their Homeworld, or serious traumas like Pearl’s bittersweet relationship with Rose Quartz. And because it’s got Rebecca Sugar at the helm, there are tons of good original songs scattered throughout the show. The more I watch Steven’s adventures, the more hopeful and inspired I feel about the world. Between the solid noir-style animation and the epic soundtrack, it’s not hard to see why this incarnation of Batman stands out for me and a lot of other kids from my generation. This Caped Crusader fit the bill for those of us who weren’t 100% up-to-date on all the comics and their storylines, with tons of individual stories and amazing performances by the likes of Kevin Conroy and Mark Hamill. But this Batman also has soul, as best described by this Tumblr post. So what did you enjoy watching as a kid? Or what modern-day show are you enjoying now? Please let me know in the comments section. Copyright 2010 by Cartoon Network. Cartoons seem to be making a nice resurgence lately thanks to the Hub and Cartoon Network. We all know about the insane cross-gender appeal of My Little Pony: Friendship is Magic, and now we have another strong contender: Adventure Time. So here are my top five reasons for why I love this show, and why I think you should, too. What’s Great About It: There is so much color in this show (which makes sense, considering it’s a cartoon). But beyond that, there’s detail that can show up in unexpected places. Hellish landscapes like the Flame Kingdom and the Nightosphere. The character designs of Ricardio and the Lich. And of course, every major fight scene and action sequence (about once per episode, it being an action-adventure series). 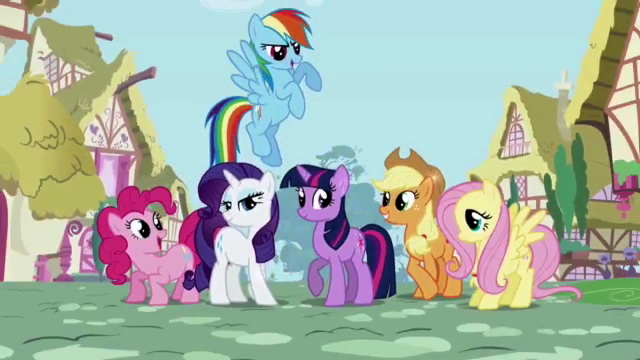 The animation is why Lady Rainicorn (pictured above) is so fascinating to me, and why I try to absorb every frame for something little detail or Easter Egg left by the creators. What’s Great About It: This show has some of the usual staples like toilet humor and bad puns, but then it can get… surreal. Like, Ice King breaking the fourth wall and waxing philosophical about TV (“So clever, watching us from a one-sided mirror…”). And like other good shows, it has material that only adults watching would pick up on, which kids won’t get until later. Those kind of jokes are good because they let us enjoy them as kids and then appreciate the show even more years after the fact. What’s Great About It: But as much as you’ll laugh, Adventure Time will make you cry. 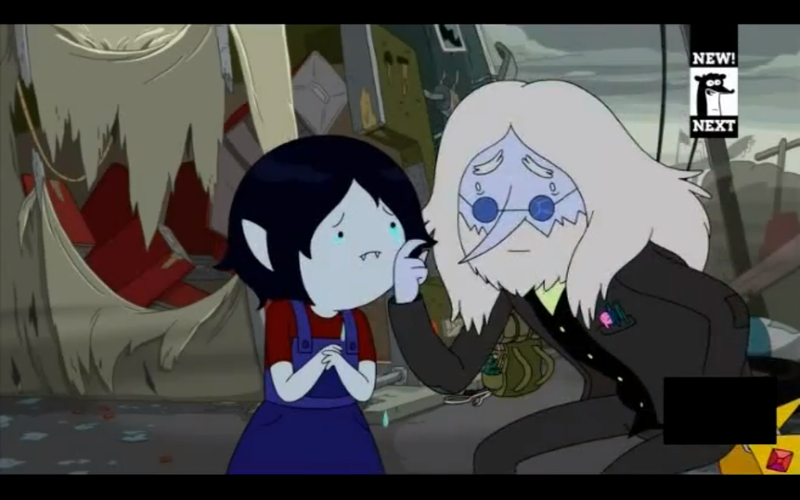 Delving into the Ice King’s backstory, Marceline’s tortured relationship with her dad, Finn’s unrequited love for Princess Bubblegum, and anything to do with the Lich and the Mushroom War. It’s clear that the creators behind the show have built up quite a mythology, and little by little, they’re letting us see how deep and broken their world and its people are. 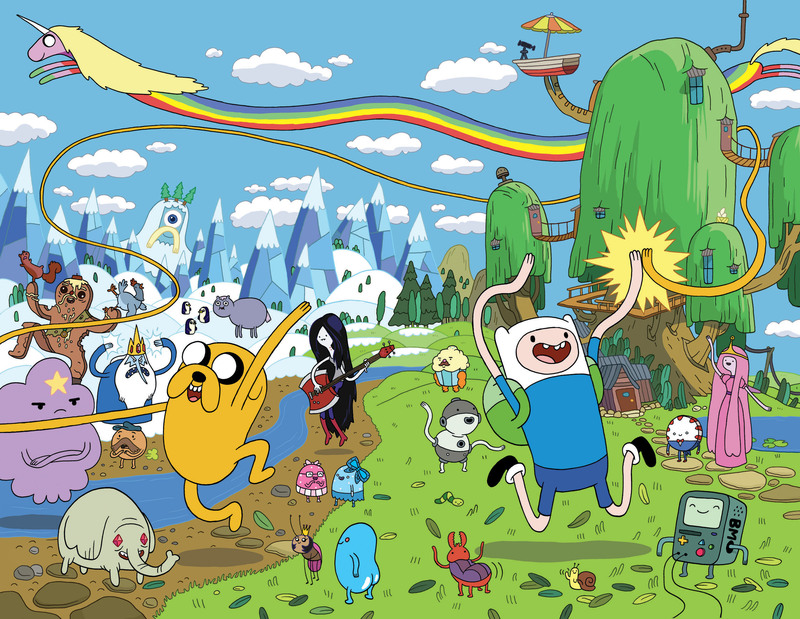 What’s Great About It: Much like the revival of My Little Pony, Adventure Time has quite a few catchy songs in it, but frankly, I prefer the latter’s music to the former. That’s mostly due to storyboard artist and music composer Rebecca Sugar. Between the voice actors for Marceline (Olivia Olson) and Finn (Jeremy Shada), the cast has some great vocals for whatever song they need, giving a lot of soul to an already deep show. What’s Great About It: Finn’s usually a dumb hero, but he also has some good ideas. Jake’s a magical dog adventurer, but he also has a sensitive side. Princess Bubblegum is an attractive princess-scientist, but she also has dubious moral principles and can be pretty heartless toward Finn. The point is that there are so many characters, often good for jokes, fight scenes, and dramatic moments, but so many of them have these layers that’ll surprise you every time. That’s what keeps this adventure show from being superficial. It’s just plain super. Best Example: Honestly, just watch the show all the way through. Storylines and character arcs come together season after season like colors blending into a rainbow. New episodes of Adventure Time air on Monday nights on Cartoon Network. 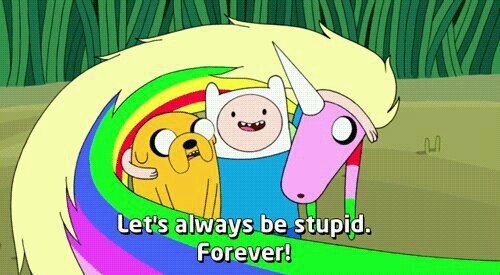 Bibliography: Adventure Time. Created by Pendleton Ward. Written by Pendleton Ward, Patrick McHale, Adam Muto, Tim McKeon, Merriwether Williams, Steve Little, Thurop Van Orman, Kent Osborne, and Mark Banker. Directed by Larry Leichliter. Produced by Pendleton Ward, Eric Homan, Derek Drymon, and Fred Seibert. Frederator Studios; Cartoon Network. April 5, 2010 – present.